“Back in the days” home built radio receivers and transmitters often used plug in coils. Plug in coils were used with variable capacitors to create an “L-C” circuit (L being the inductance and C being the capacitance). The coil-capacitor combination was connected in parallel to tune the cicuit. To narrow the range even further a second variable capacitor would be wired in parallel with the LC circuit. This second variable would be of low value and would change the resonant frequency of the circuit a very small amount. It would, in effect be the “Band Spread” of the tuning circuit. One more obvious example was the wonderful old Hallicrafters Recievers. They had the main tuning dial on the left, and a bandspread dial on the right. Radio amateurs are interested in very small portions of the radio spectrum. 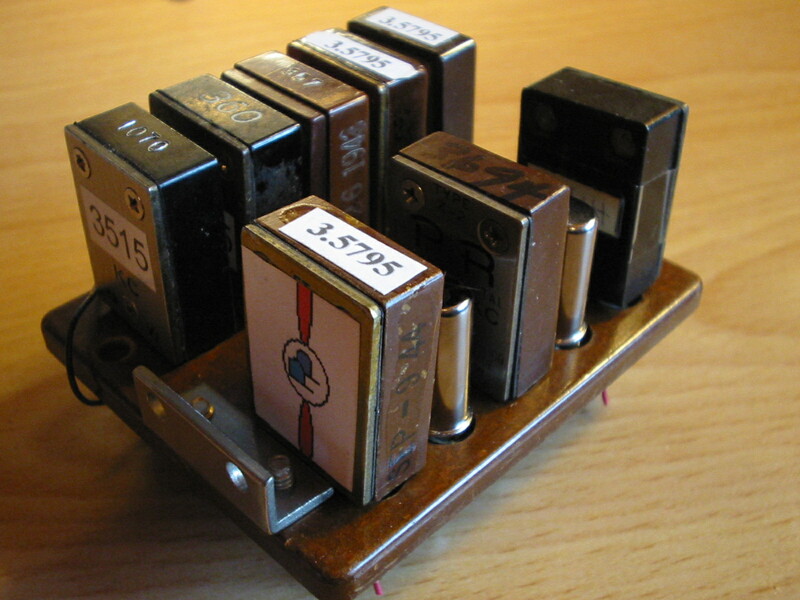 These small frequency allocations were best tuned so that the whole CW or Speech portion of the Amateur band would cover the entire swing of the variable tuning capacitor. By narowing the coverage, hams could spread out the signals. While many receivers used a complex switch to change frequencies. The plug in coil was simpler, less costly, and a favorite amoung our predecessors. Pastime Projects (www.pastimeprojects.com) introduced new plug in coil forms in October of 2010. 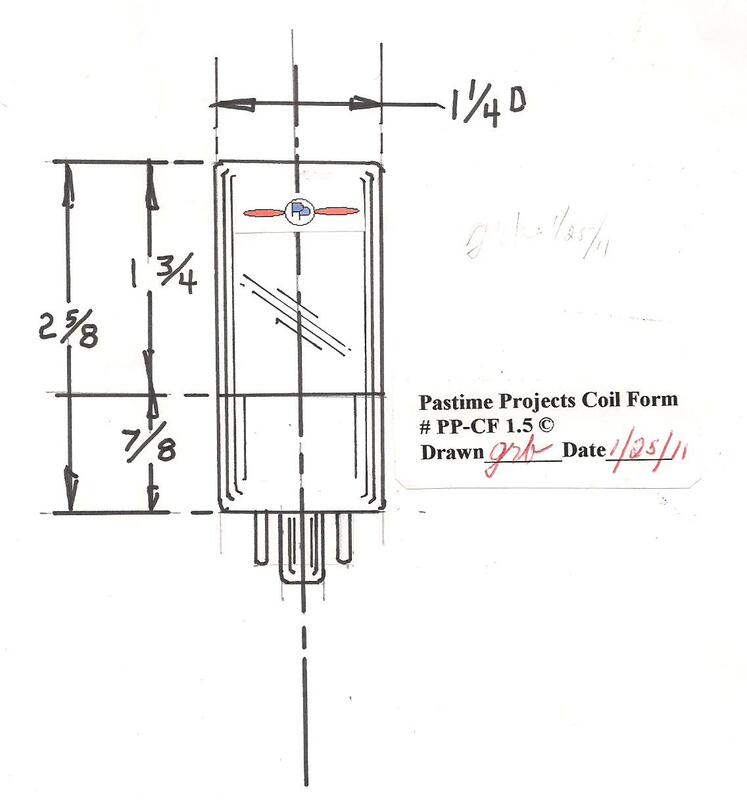 The dimensions and construction of our coils is shown in the attached sketch. The Pastme Projects coil form is available either glued or unglued. The joint is edge glued between the coil form and the octal base. The glue used in the factory is Loctite Stik n’ Seal Non-Toxic adhesive manufactured by Henkel Corp of Avon Ohio www.loctiteproducts.com. While the coil form of old may have used 4 pin or 5 pin sockets, these have become scarce. The use of the octal base makes more sense and give us some choices in the amout of taps and/or coils we can combine on one form. An obvious disadvantage of the octal socket is more friction in inserting or removing the coil from the base. We have found that the extra unused pins can be carefully cut off. We have easily removed every other pin and ended up with a 4 pin socket which is much easier to work with. It still allows the allignment of the coil into the correct pins in the base because of the keyed center pin on octal bases. You can choose how many pins you need on your coil for your project. Why not include plug in coil forms in your next project? Vry 73 es bcnu Glenn for Pastime Projects. www.pastimeprojects.com has so many vintage crystals for sale. These include the old round Blily Crystals. Some have the original boxes. We have a few of the old big cyrstals as used in the mighty BC-610 of World War 2 era. Many many surplus crystals including the FT 243 styles. 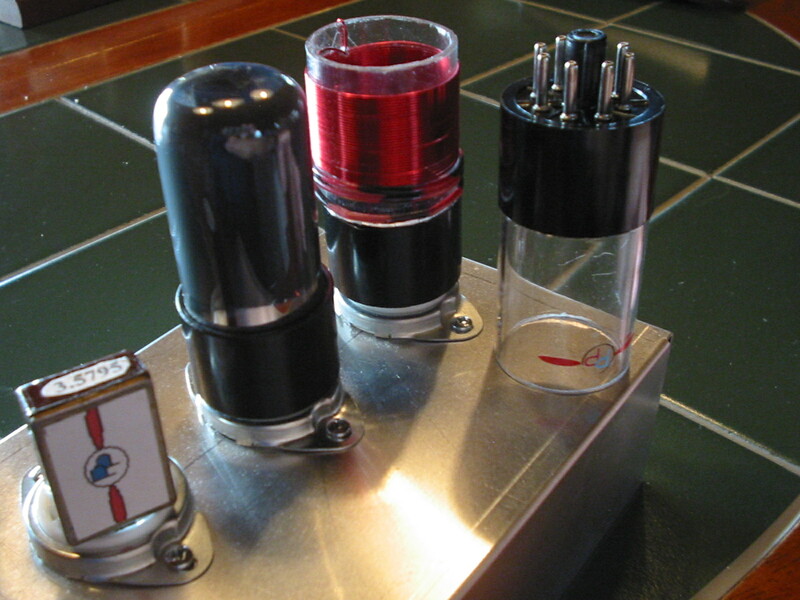 These are stocked mostly to accomodate our vintage 6V6 home brew transmitter kits, but they are available to anyone. Some are original sealed cases. We have some that are new crystals inserted and tested in the old FT 243 cases. Right now we have highlighted some of the 80 meter crystals on our new web page. Please check it out at www.pastimeprojects.com and click on Crystals page button. Goodbye ear-rings Hello new directions. On Thursday April 12 we called eBay with a question about new seller rules. The question concerned what I perceived as a new necessity that sellers now open access – for a considerable amount – into a business bank account to eBay. This brought up considerable questions on our part. The eBay associate was courteous and seem to understand our concerns. The concerns were forwarded to others at eBay. eBay has always been responsive to our concerns, and we have no reason to think this situation will be any different. Until we hear back from eBay, we have decided against selling on eBay.. The question concerns protection of our company finances and is serious enough to await satisfactory resolution before considering whether to resume selling. You are currently browsing the R3tr0rad's Blog blog archives for April, 2012.